Philips have announced their updated 6000 and 7000 series Full HD LED TVs which pack both Smart TV, WiFi built in and of course the much anticipated dual screen gaming mode. With the original first being spied at IFA 2011 the newly updated 6000 series TV uses passive polarisation technology to give you 2D to 3D conversion and full 3D depth adjustment. You also get built in WiFi connectivity which means you'll be able to access all of the Smart TV features without having to connect it to an ethernet cable. Featuring the same Full-HD screen the 7000 series ups the ante by providing near flawless 800Hz Picture Motion Enhancement whilst also using Active Shutter Technology to provide 3D. As with the 6000 series you get 2D to 3D conversion and depth adjustment, you also get the Dual Screen Gaming Mode which features on the 6000 as well. By using the 3D screen the TV is able to display two completely separate full screen images with the glasses splitting between the two letting two gamers play co-op each with their own full screen view. 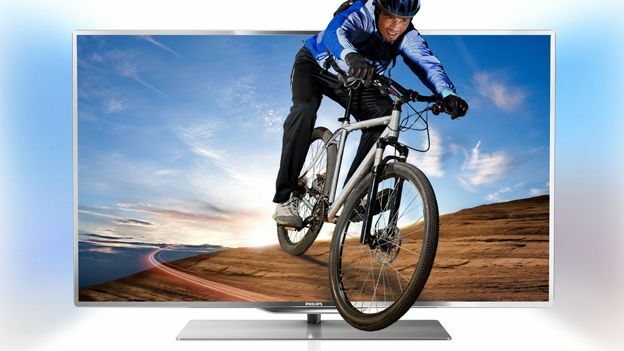 No word on price yet but Philips has confirmed that the TVs will be arriving in the second quarter of 2012.